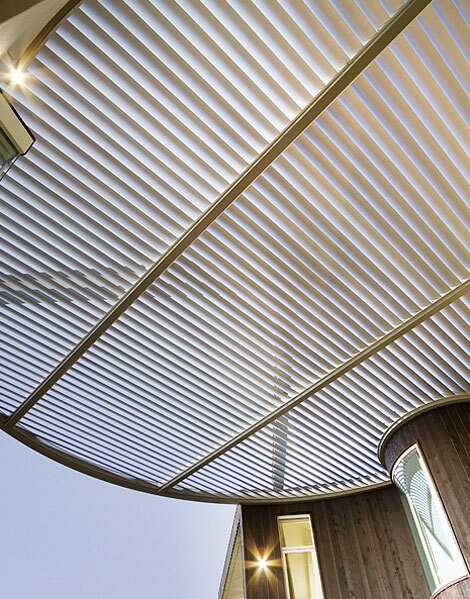 At Modular Shades + Shutters we begin with the end in mind. We share the common vision of our clients and their architects to create a seamless transition between understanding their environmental needs and practical applications. The successful life cycle of your project is the result of carefully planning and communication with all parties on site. Modular Shades + Shutters are effective project managers and will consult with your Architect, Builder, Electrician (BMS Integrator) and other trades to ensure all the critical elements are in place for a successful installation. Creating a Sense of Place. Backed by of some of the most innovative and progressive product designers and brands available in the country we will assist the creation of a design that suits your individual style. Scoping out the work is important to ensure your products are within specifications and critical performance requirements, including ceiling, recess space and power requirements. An estimate can then be calculated for your quotation. We will require a 40% deposit to convert your quotation into an order with the balance due on installation. You are welcome make the payment via credit card, cheque or EFT. Meeting the relevant trades on site and discussing the placement, positioning and tracking of products is an essential phase. This is a chance to visualize the product in application and discuss the power, fixing and space requirements with your respective trade people. This is an opportunity to check all finished sizes before raising the factory purchase orders. It is critical all recesses are finished and no other alterations (current or planned) will take place. This could include but not limited to: Flyscreens, Sensors, Tiles, Window Sills and architraves. From site measure we proceed quickly to raising the factory orders. Lead times will vary from product to product and depend on availability of materials at the time of the order. Upon receipt of goods into our store we will contact you to make arrangements for the installation. Our specialist installers will fit and tune the products on installation, just sit back and enjoy a cup of tea while we complete the installation and clean up. Please ensure your balance is paid on the day of installation. After the installation we may need to revisit the site to check the products are operating and tracking as they were on the day they were installed. If you need assistance or advice on the products operation we are only a phone call away.